“Come and Get Me” is the title of this latest work by Herman Veltorp of the Netherlands. 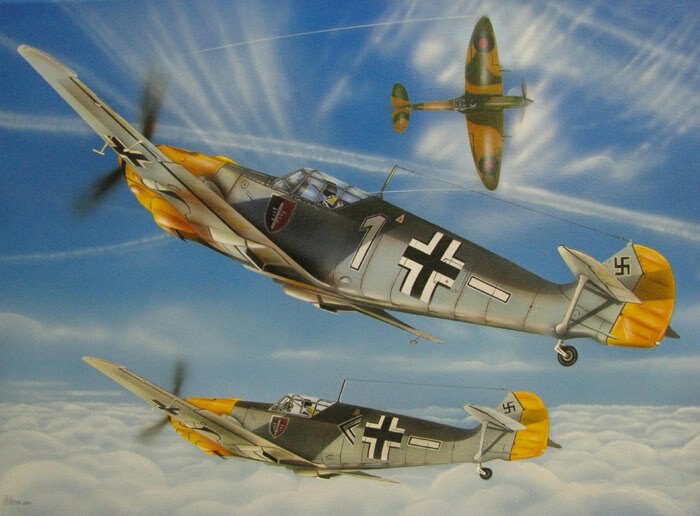 The composition shows a pair of German Messerschmitt Bf 109s climbing in pursuit of a lone Spitfire at altitude. Airbrush on canvas. The artist’s website is available at http://www.airbrushpower.nl/.